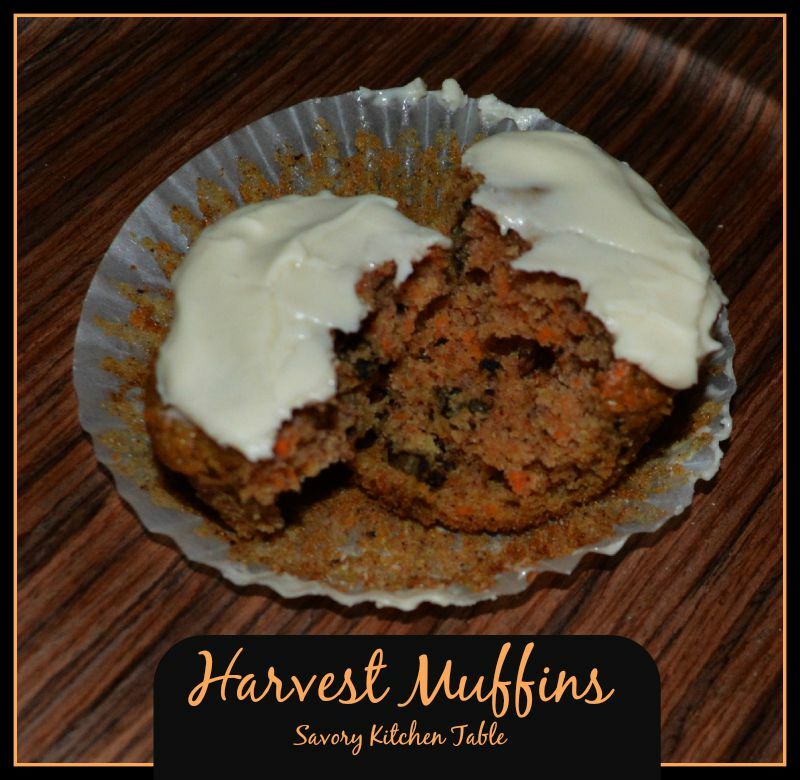 I LOVE these muffins for a snack or a meal. Every bite is moist and flavorful! In a large bowl whisk together flour, sugar, baking soda, apple pie spice and salt. In a separate bowl whisk together the eggs, oil, vanilla and milk. 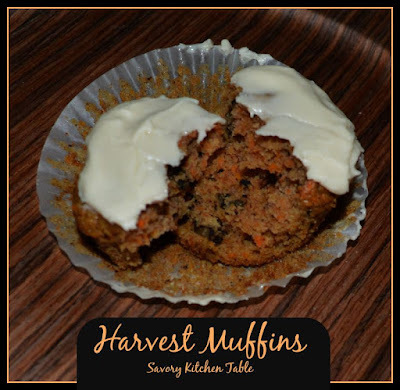 Fold in carrots, apples, raisins and walnuts..
Add egg mixture all at once to the flour mixture, stirring JUST to combine. Spoon mixture into cupcake liners about 3/4 full. Bake 22-25 minutes or until golden and plump. Cool 10-15 minutes before frosting. Add butter using a pastry blender until coarse crumbs. Add coconut and blend well. Add powdered sugar gradually until well blended, smooth and desired consistency. NOTE: # On a personal note I like to soak golden raisins in Malibu rum before making this recipe. Be sure to drain them well before adding to the batter. Thanks - they are my go to comfort muffins. I love the moist delicious bites of fruits and veggies along with the crunch of the nuts. Oh, wow! These look and sound delicious! I love hearty muffins, especially when there's lots of "stuff" in them. And the Orange Cream Cheese Frosting? YUM! Pinning now... Thanks for a great recipe! Enjoy! We're just finishing a batch and I'm going to make another. They are perfect for breakfast or snack around here.